A tragically redone c.1948 diner at the intersection of Webster and 182nd in NYC. Bronx had the second lowest number of diners of the five boroughs in New York City. Based on Sanborne maps, “Diner” magazine and other sources, I have counted ‘only’ 72 diners. Now you know how Tierney and O’Mahony were building a diner a day in the 1920s! 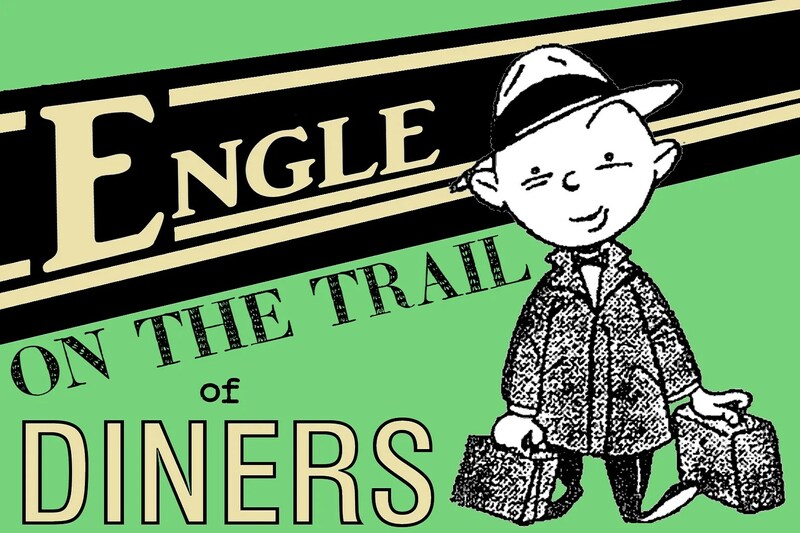 Taking inspiration from Spencer Stewart’s two recent finds in New York city, I went through my Bronx list posted on nydiners.com in the New York In Depth site. There was a picture of Joe’s Cafe on the site, recognizable by the vertical flutes, even if they were painted over. 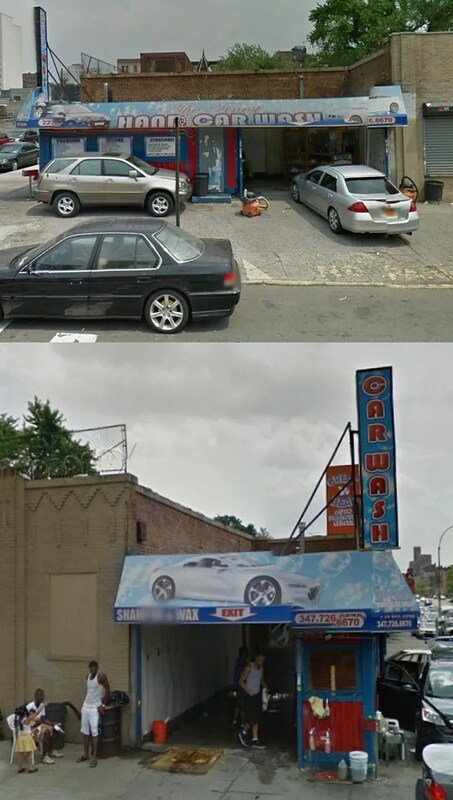 A quick search on google maps shows just a car wash on the site. In an inglorious demise, the owners took the diner and turned it into a car wash. But if you look on the far end, there are still vertical flutes on the building. Papa John’s Diner was still operating thru the 1980’s. It was a Kullman Diner that had seen better days as well as being situated in a bad neighborhood. I do have photos though not the best.